So, you’ve bought a camera. But there’s this teeny little problem about the whole thing: you don’t know the first thing about cameras or the principles it functions on! Not to worry though, this article is here precisely for that purpose. To guide you through the basics of photography without sounding like a lecture in Physics. Photography tips : Aperture: This is nothing but the function of the camera that regulates the amount of light coming in the camera. Think of it as your iris which adjusts according to the light outside. Don’t you experience a blackout of sorts when you enter a dark room from a brightly lit area? That’s what happens when the aperture of the camera is inappropriately set. So, lower the light, higher the aperture. Photography tips : Exposure: This is the amount of light that is allowed to fall on the film/sensor. Not much to explain here, but the correct manipulation of exposure can do aesthetic wonders for your photographs. Exposing your sensor for a long period, results in, more light falling on your sensor, making your picture brighter. Photography tips : Shutter-Speed: Simple. The camera is your eye. The shutter is your eyelid. It’s that easy. How to adjust shutter speeds to get awesome effects? Keep it fast if you want stop-motion photos. For example, sweat jerking off a footballer’s forehead as he kicks the ball. Or, keep it slow if you want a blurry effect. Photography tips : Lens: Every camera has a lens. Digital, SLR, mobile phone, you name it. They are the basic components of the camera and can be very helpful in defining your particular style of photograph. If you’re a sports photographer, use a telephoto; for landscape, use wide angle and so on. These were just the basics of photography. Though reading it doesn’t make you an expert, it sure will help you in understanding what those buttons on your DSLR are used for! 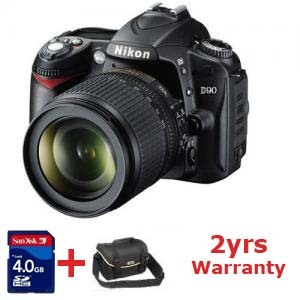 Buying a DSLR camera and using its features and power to take great Images is the soul of photography. Hope you enjoyed our lesson in photography tips section. please give us your feedback on our photography tips section. Gigapan Epicpro – the most wanted motorized panorama head are now available in India. Gigapan Epic pro can be mounted on Manfrotto tripod. Gigapan Epic pro – for your dSLR camera comes with special photo stitching software. You can shoot 180 deg. panorama automatically with this head and Gigapan can take upto 4.5 Kg weight. GigaPan EPIC pro robotic head mounts on tripods easily and empower dSLR cameras to take thousands of images, which can be stitched together to create one Image which can be zoomed and pan, with amazing sharpness, depth and clarity. With the new and faster GigaPan Stitch software (included with the robotic panoramic head) these photos are acurtely attached seamlessly into one fabulous panorama, which viewers can zoom into the detail, explore and share. Are gigapan available in India? Yes gigapan’s head are available in India. Capture phenomenal depth and clarity in multi-gigapixel panoramas with the remarkable EPIC Pro. Based on technology developed by NASA for the Mars Rover, the EPIC Pro is strong enough to hold a camera and lens combination up to 10 lbs (4.5 kgs). EPIC Pro can accurately take hundreds or even thousands of individual photos to create one stunningly detailed gigapan. With the new GigaPan Stitch software, these photos are efficiently combined into a seamless panorama that can be easily uploaded to GigaPan.com, where you can view, share, embed, tag, and print your images. 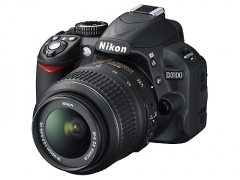 Nikon D3100 is an entry level digital-SLR camera with a new CMOS image sensor, image-processing engine and helpful Guide mode that makes capturing beautiful images easy. EXPEED 2 is Nikon‘s new image-processing engine, developed by refining the concepts, know-how and technologies regarding digital images that Nikon has spent years cultivating. It maximises the performance of the CMOS image sensor to suppress noise in still images and movies and produces images that faithfully reproduce vivid colors. 2) A refined Guide mode that is even easier to useGuide mode has been refined to make most camera operations even easier, from shooting to image playback and editing to the application of camera settings, regardless of the user’s skill level. 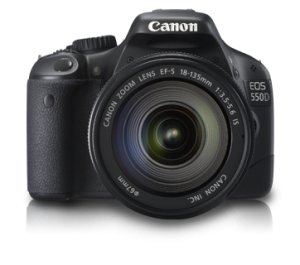 The D3100 displays “assist images” that show the effect of various camera settings, giving users an idea of the results they can expect with specified settings. For example, when “Soften backgrounds” is selected and an aperture value is specified, the assist image displayed in the monitor changes to show the effect that aperture setting will have on images. This allows users to confirm that images will appear as they intended prior to shooting and reduces the number of unsuccessful shots. * Operation has been improved with the addition of an independent movie-record button and release-mode selector. In addition, the rubber grip provides a better fit. 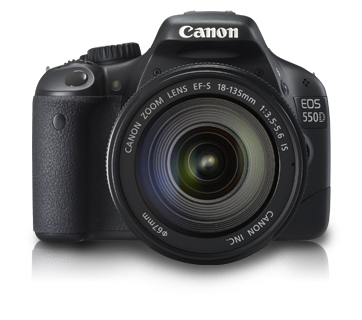 D300, 40D, 7D, 550D, 500D, if your life revolves around these numbers, then yes you do have the buyer’s dilemma. A state where you can’t figure out which product best suits you, frankly because all of them look good around your neck. In this state, there is only one thing to do to help you make up your mind, read on!! Let’s take it from the top, understanding the working of a DSLR will help you in making an informed choice so that you don’t end up buying a camera and regretting it. 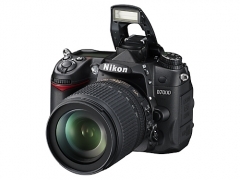 Basically, every digital SLR works on the same principle: what you see is what you get. SLR stands for Single Lens Reflex, meaning that there are mirrors inside your camera that help in showing you exactly what the camera’s lens is seeing. So, we’ve established how a DSLR works; now coming to the selection. First, you have to determine what kind of use you’ll be subjecting your camera to. For example, if you are a sports photographer, you’ll have to take photos on the spur of the moment. In that case, you need Canon’s 40D or Nikon’s D300, which give you a speed of 6-7 photos per second. On the other hand, if you are a beginner and are learning photography, you should opt for Nikon’s D40x, which actually shows you how changing the settings can affect your photograph. There are a number of cameras to choose from for different styles of photography. There’s one for macro, one for action, one for landscapes and so on and so forth. Choosing your style will take you a long way towards uniting you with your dream machine. After you’ve defined your style, start looking for cameras that complement your styles. Learn some DSLR jargon, like aperture, shutter speed, ISO etc. There is no harm in being informed, after all, is there? The above are all you need to choose the camera that is right for you. and we will make sure that we offer best deals. Use coupon code BPSPCL* to get FREE SHIPPING .